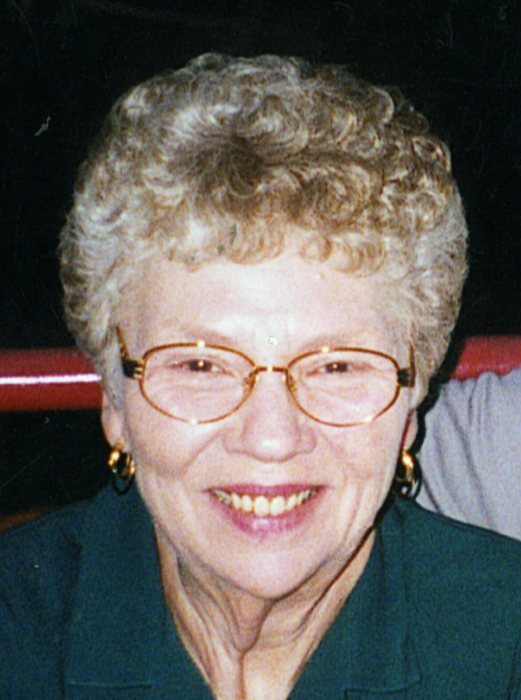 Joyce Cassoni, 78, of Natrona Heights, passed away peacefully Saturday, Jan. 26, 2019, in Good Samaritan Hospice, Cabot. Born July 15, 1940, in Natrona, she was the daughter of the late Theodore and Frances Musco Maliszewski. Joyce had been employed by Citizens General Hospital in New Kensington working in admissions, then moving to secretary to the director of nursing, where she had worked for 27 years. A member of Our Lady of the Most Blessed Sacrament Parish, Most Blessed Sacrament Church in Natrona Heights, she enjoyed bingo, bowling and her monthly card club. Survivors include her husband of 57 years, Frank Cassoni, of Natrona Heights; two sons, Ted (Dana) Cassoni, of Natrona Heights, and Mark (Jammie) Cassoni, of Oregon, Ohio; two daughters, Tina (Devin) Waters, of Plum Borough, and Kim (John) Beckett, of Kittanning; nine grandchildren, Jena Massarelli, Chad Waters, Natalie Cassoni, Brittanie Cassoni, Benjamin Cassoni, Dakota Beckett, Cassie Beckett, Ethan Cassoni and Olivia Cassoni; two great-grandchildren, Joey and Mila Massarelli; a brother, Ted Maliszewski, of Sarver; and two sisters, Patti (Val) Horenzy, of Sarver, and Becky Renfrew and fiance, Dale Kennedy, of Butler. In addition to her parents, she was preceded in death by a sister, Sylvia Zaremba, and brother-in-law, Mark Renfrew. Family and friends will be received from 2 to 4 and 6 to 8 p.m. Tuesday in the CICHOLSKI-ZIDEK FUNERAL HOME INC., 1522 Carlisle St., Natrona Heights. Mass of Christian burial will be celebrated at 10 a.m. Wednesday in Our Lady of the Most Blessed Sacrament Church, Natrona Heights. Burial will be in Mt. Airy Cemetery, Natrona Heights. In lieu of flowers, the family suggests memorial donations in her name be sent to the Alzheimer's Association,1100 Liberty Ave., Suite E-201, Pittsburgh, PA 15222. To send an online condolence, please visit us at www.Cicholski-Zidekfh.com.